In case you wondered how your favorite celebrity spent their New Year's Eve, you have come to the right place. 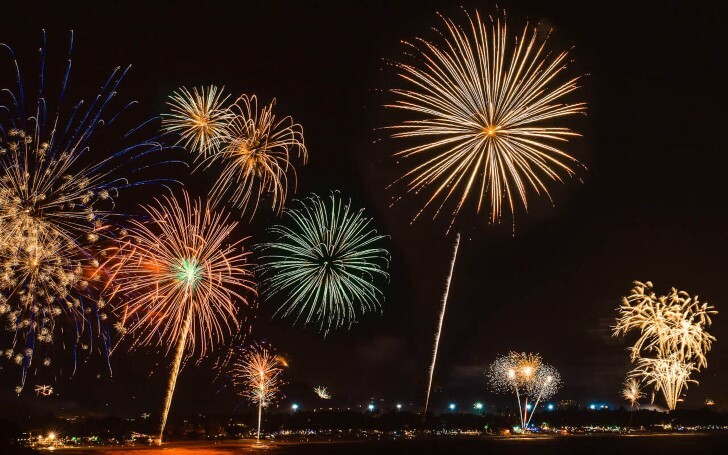 We got all the secret to your favorite artist's New Year Eve celebration. From the Kardashians to Steve Harvey to Chrissy Teigen and many more, find below all the detailed information you need to know. Happy couple Mr. and Mrs. Jonas. The newlywed actress Priyanka Chopra spent her New year with her beloved husband Nick Jonas and families in Switzerland including brother Joe Jonas and his Game of Throne actress girlfriend Sophie Turner. All of the pictures of her vacation with her families can be seen on her Instagram feed. The Queen of Twitter who constantly makes us laugh with her tweets is none other than Chrissy Teigen. 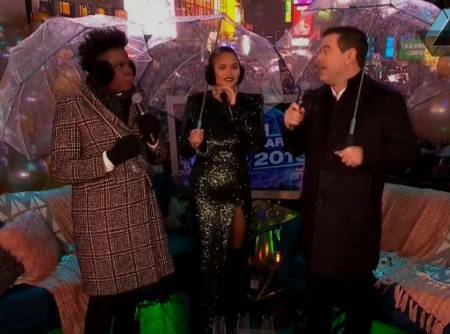 She decided to celebrate the end of 2018 by co-hosting NBC's special broadcast with Leslie Jones, and Carson Daly in Times Square. Miley Cyrus in Montana to celebrate New Year Eve. The latest newlywed, reel to real Hollywood couple Miley Cyrus and Liam Hemsworth might not have scheduled their hectic time to celebrate their Honeymoon yet. But, that doesn't mean the two can't have a 'party in the USA'. The pair enjoyed their New Year eve in Montana with the Hemsworth family. 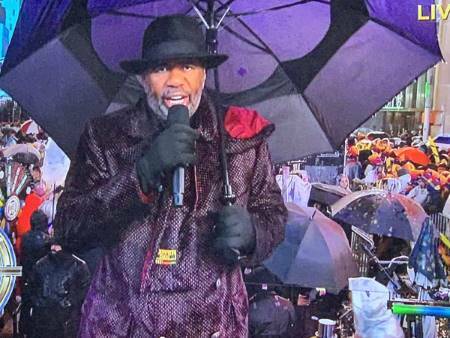 Our favorite TV show host Steve Harvey returned to celebrate his New Year Eve by hosting FOX's New Year's Eve along with his co-host Maria Menounos. As a matter of fact, Steve's attire at the show stole the audience's attention resembling it with Darkwing Duck. The eldest daughter of the Kardashian family, Kourtney Kardashian spent her new year eve by imitating sister Kendall Jenner bikini pose in the Colorado snow. Kourtney spent her New Year Eve with ex-boyfriend Scott Disick and her kids. 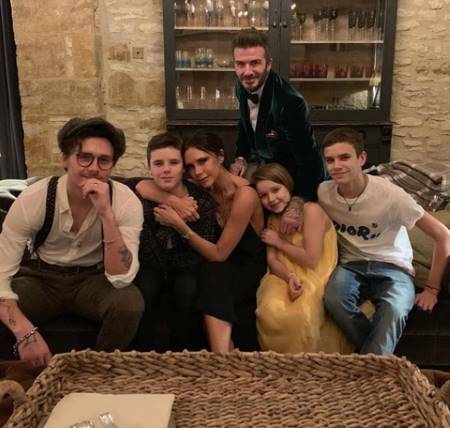 The most gorgeous family in Hollywood aka The Beckhams spent their New Year Eve at their cozy and lavish Cotswolds mansion. Both David Beckham and Victoria Beckham made sure the whole family members were dressed well for the celebration. 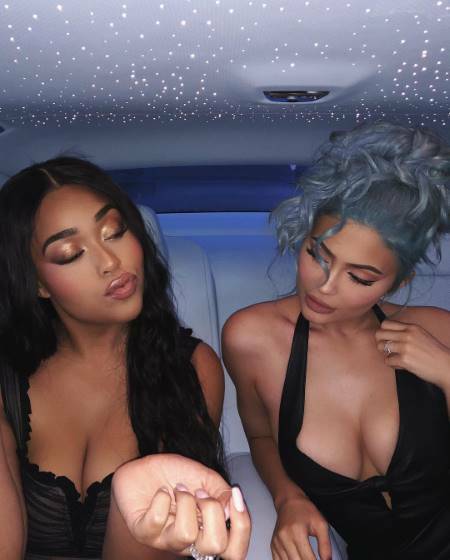 The youngest Kar-Jenner sister Kylie Jenner spent her new year eve by partying with her friends including bestie Jordyn Woods. Oh and not to mention, Kylie hit the party showing off her new blue hair.